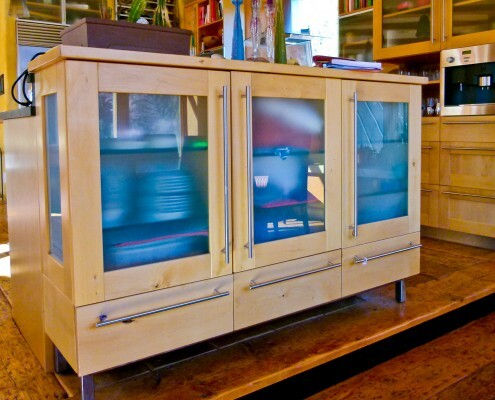 Blue Sky Woodcraft – Blue Sky Woodcraft offers fine woodworking, custom furniture services. Proprieter Marty Schlein has been serving clients in the Aspen, Colorado area for more than 30 years. 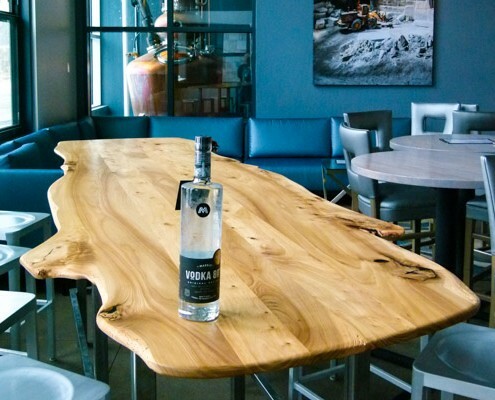 Browse photos of some of Blue Sky Woodcraft’d past projects in our Portfolio section, ranging from custom-crafted wood tables, cabinets, architectural elements, and more. Whether you are looking for a one-of-kind piece of furniture, or a special project to add a unique artisan element to a beautiful home, you’ll find examples of all that and more. Pieces from Blue Sky Woodcraft are elegant, yet functional, showcase items in Aspen area restaurants, businesses, and fine homes. Learn about master woodworker Marty Schlein and how he has served the Aspen and Roaring Fork Valley for more than 30 years on the About Us page. What happens when a Grand Canyon river guide becomes a master woodworker? The result finest custom-built whitewater dories to ever hit the water. As a boatman, Marty knows what matters on the water, and as a master woodworker, who knows how to make a boat that will perform for years. Learn more about Marty’s passion for whitewater dories and the amazing whitewater river boats he builds. Custom-built wood furniture is where art and function blend together. 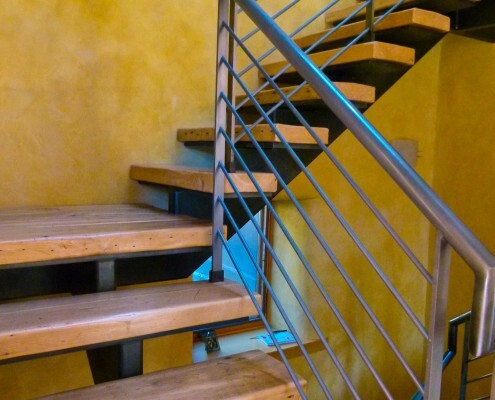 Marty’s pieces are beautiful to look at, adding a unique artisan element to any home or commercial space, but they are also robust, strong, and built to last for years. That’s why Marty’s work has become so respected and highly regarded in the Aspen area.